Major renovations can be expensive and inconvenient (or both, in most cases). But when your home has minimal natural light, you'd probably do just about anything to brighten things up since dark spaces can look cramped and moody. Beyond aesthetics, they can also impact your own mood for the worse. According to architect Alan Lewis, PhD, "visible light helps the human body to regulate the production of the hormone melatonin, which in turn helps to regulate our body clock, affecting sleep patterns and digestion. [It] also helps to stimulate the body's production of the neurotransmitter serotonin, which can reduce the symptoms of depression." With this in mind, and since we spend so much time inside our homes, lighting should be a priority. So instead of having to expand the windows or install new ones altogether, we decided to ask an interior designer how to brighten up a dark room for a stylish, comfortable atmosphere. And we have to say that Marissa Bero of Homepolish came up with some pretty genius, transformative ideas that don't require heavy lifting. Scroll through the five tips below to find out how to balance your light and dark pieces, brighten up dark rooms with small windows, and highlight your favorite dark and stormy colors without going overboard on the moody vibes. "One overhead light fixture just isn't enough to properly illuminate most rooms, especially a dark room," warns Bero. "In a bedroom, for example, it's important to have a lamp or sconce on either side of the bed, and I like to put one on the dresser as well. If the bedroom is large enough for a cozy chair or sofa, then I would add a floor lamp or table lamp there as well. This ensures that each part of the room is well lit." This is especially true in the kitchen, where you want to see what you're doing while cooking and eating and in which case you should install overhead lighting as well. 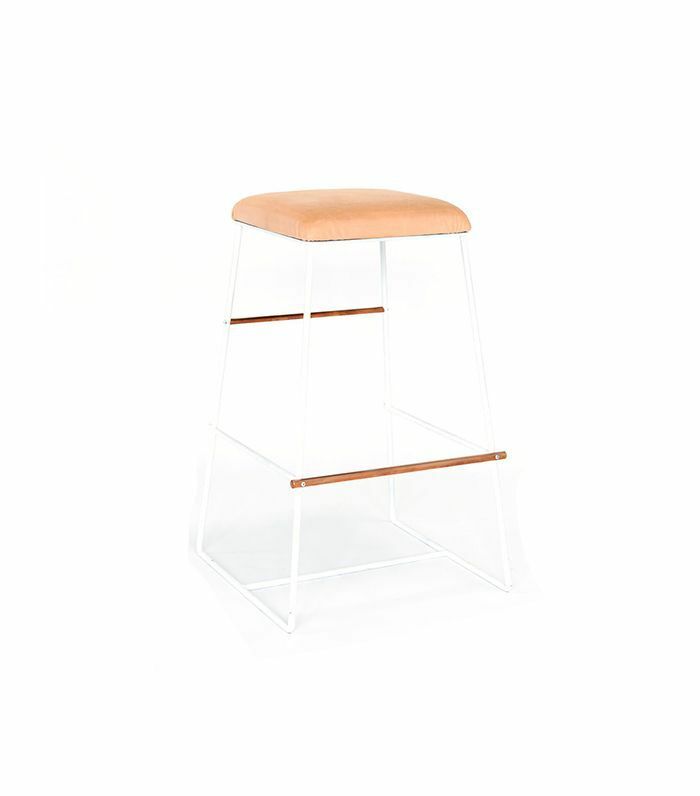 Sleek and casual barstools are the unsung heroes of the kitchen. The white frame and blond leather upholstery make this one perfect for anyone looking for a bright, effortlessly chic option. This room is a great example of moody interiors done well. With dark, dramatic, and artfully painted hardwood floors; a large black-and-white photograph; a sophisticated gray sofa; and plenty of brass accents, this room is absolutely stunning. One of the reasons it works so well is the bright white walls to reflect any of the natural light, which works to soften things up. Plus, "a piece of furniture that is solid to the floor can block a lot of light and make a dark room feel even darker," says Bero. So opting for a small lucite side table like the one above is a great choice. Or "when selecting a sofa, for example, choose one with 6 to 10 inches of open space underneath. It will allow light to pass and therefore illuminate more of the room." If neutrals and metallic accents still feel a bit too moody, bring in a playful throw pillow. This will make your living room or bedroom feel a bit more casual without dressing it down too much. Plus, the cheerful color scheme can offer a lighter feel. This room uses a few brightening tricks to make it seem more spacious and light. The crisp white walls and splashes of color from the colorful art combined with the natural feel from the indoor plant really brighten up the dark flooring and narrow space. When it comes to bringing in some great natural plants, the bigger the better, as long as you use a white vessel that bleeds right into the white surfaces and walls. This ensures large-scale items don't feel too bulky. A simple, bright painting in an unassuming frame is a great piece to adorn the walls in a darker space. It will bring in some cheerful colors without taking up too much room. If you really want to take the plunge to achieve the above aesthetic (it's worth it), put on your old overalls, grab your paint rollers, and open a gallon of white paint. Start by painting the walls, but don't stop there. Make sure you paint everything white, from floor to ceiling, including your décor and furniture. We also love how even the baskets and bed frames are the same shade here. The beds look like they're floating, don't they? Not only will this instantly brighten up your space, but it's also the perfect canvas to decorate in any style, with any items. Take notes from the room above and keep things whimsical with a washed runner, bohemian throws, and fresh linens. 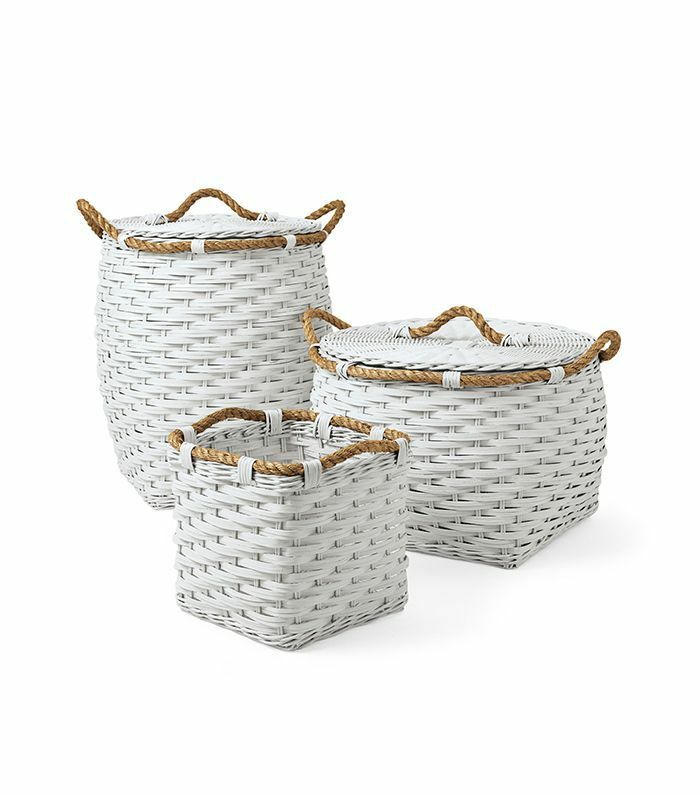 Though these spacious bins can offer up plenty of storage space, they will blend in with all-white interiors seamlessly so they don't appear too bulky. While many know that mirrors can amplify a small space, it's less-common knowledge that they can also brighten up a dark room. Bero insists that "a strategically placed mirror can really brighten a space. I like to put large mirrors opposite windows to reflect more natural light into a dark room." So much so that "it's like adding another window to the space." She also says that "you don't have to be limited to mirrors you would hang on a wall. You could also incorporate a coffee or end table with a mirrored top for example," if you're looking to lighten up a space other than a bathroom. 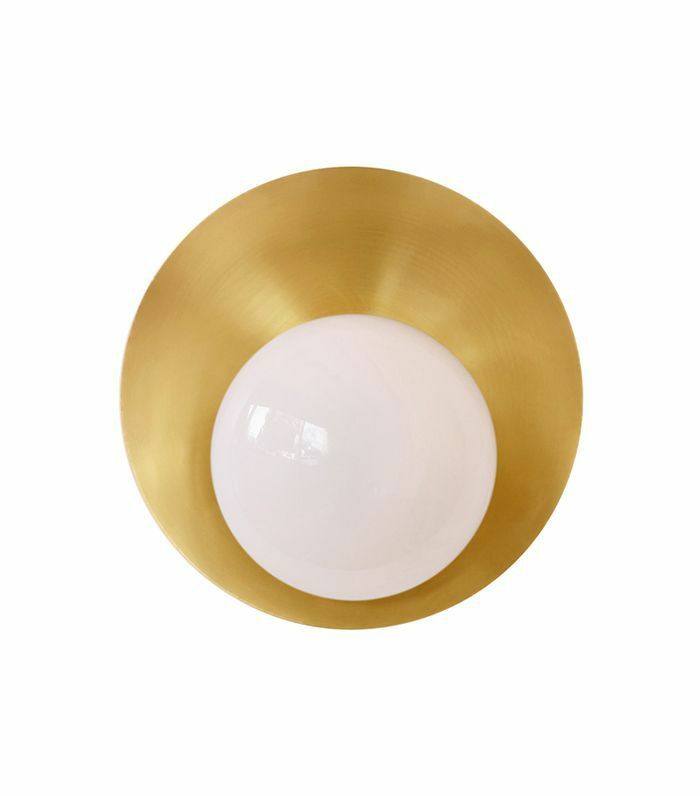 This pearl-like light fixture will shed some extra light on your space while also introducing just the right amount of personality. We envision it in the bathroom or hallway, though it'd look great in any room. Up next, the coolest new lighting trends to brighten up your space this year. This post was originally published on July 17, 2017, and has since been updated.